‘What You Should Know’ is a Rotoscopers series that gives you a detailed and (somewhat) objective rundown of this year’s animated films, right before or on the day they hit theaters. That way, you can make a decision of whether or not to see the movie based on the information provided. STARRING (ENGLISH DUB): Yuri Lowenthal (Robinson Crusoe), Mak (David Howard), Rosie (Laila Berzins), Joey Camen (Scrubby), Sandy Fox (Epi), and Dennis O’Conner (Long John Silver). If you’ve ever read the novel, it’s (kinda) the same premise, but told from the perspective of talking animals. In a first for WYSK, no such record of the film’s production journey exists. If you, the reader, happen to have info or factoids pertaining to this section, please let me know in the comments! This will be the sixth theatrically-released animated film from the Syfy/Asylum of animated movies Lionsgate Entertainment. In a rare occurrence, the film’s English cast is made up entirely of professional voice actors. One positive thing I can mention is that there’s not much in the way of competition this month, so even if it arrives on the lower end of the top 10 spectrum, it might have some staying power. First, we have (once again) a non-existent campaign push for this movie, courtesy of the knuckleheads in Lionsgate’s marketing department. I saw maybe two commercials for this movie and one internet ad (that I may or may not have hallucinated). Second, no star power anywhere to be seen. As mentioned above, all of the English voice actors are professional voice actors. While that may be a positive for some, consider that the last time we had an animated movie with professional voice actors (in leading roles) was Ratchet & Clank, a movie that people only liked while critics everywhere hated it. 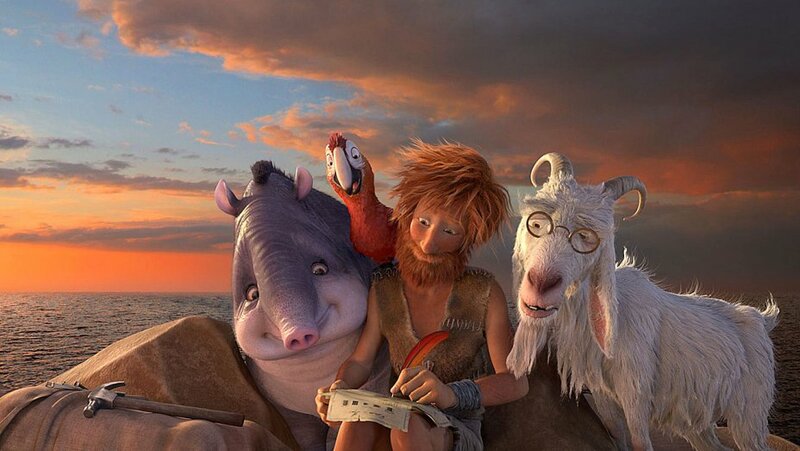 Third, the trailers do nothing to distinguish The Wild Life from a number of other animated films with talking animals. 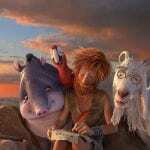 It would also seem that, at least from early reviews, what would have been a great opportunity to do something unique with a cool premise like Robinson Crusoe is instead squandered by jokes and cliches borrowed from the big book of feature animation tropes. Oh yeah, the iffy animation also lacks the polish of the film’s bigger-budget counterparts and might be a turn-off for people used to said films. With the school season just starting and kids heading back to school, it’s a miracle that The Wild Life is even tracking at all. Industry estimates put the film’s opening weekend gross at $5 million. On a measly budget of $13 million, that’s…not terrible but not great either. Consider that the movie is tracking far behind that of Norm of the North, which opened to $9 million over MLK weekend back in January. As I’ve noted above, the movie is gonna have to fight to stay in it with most of its target audience (kids and families) focusing on getting adjusted to the new school year. Last I checked, Kubo and the Two Strings is just barely holding on and that movie had a far better marketing campaign. So imagine how hard it will be for a movie like The Wild Life, with its numerous disadvantages, at a time when the Summer movie season is winding down and the Fall awards season is starting up. There is one silver lining, however. Since the movie was originally released in it’s native Belgium (March 30, 2016) and France (April 20, 2016), it will arrive in US theaters already having made a good chunk of money ($20 million). The reviews are in for The Wild Life…and they don’t look too good. The movie currently sits at a 16% ‘Rotten’ rating on Rotten Tomatoes, with the critical consensus stating: The Wild Life uses its classic source material as a half-hearted springboard into a colorfully animated but essentially empty experience that only the youngest of viewers will find at all entertaining. Yet another movie doomed via Lionsgate’s certified seal of animated garbage! I admit that i was a bit disappointed in my opinion piece about Lionsgate, if only because I didn’t get into one of the big reasons why I’m so infuriated by Lionsgate’s handling of animation (and why I rag on them more than Illumination Entertainment sometimes). One of the reasons why I get mad is because movies like this uphold an increasingly outdated view of animation: that it’s simply kids stuff, and therefore not worth putting in time, effort, or even money. Now, those attitudes are starting to shift and the industry is trying to find ways to meet new demands and expectations. And in a year that’s showing us how far animation has come, a studio that feeds off the old crap shouldn’t have any business being there at all. With any luck, studios like Lionsgate will be phased out as our collective definition of what feature animation is in the US continues to evolve. Thank you for reading this installment of What You Should Know! What do you think? Is The Wild Life as bad as everyone thinks it is?